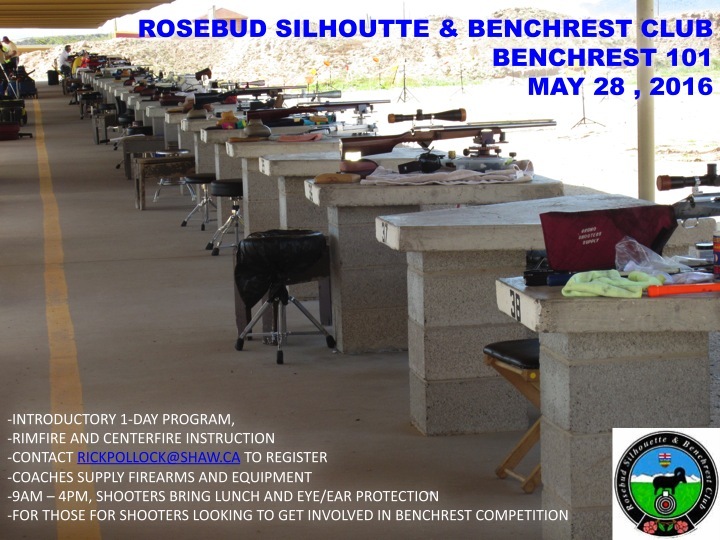 For the 6th year, The Rosebud Silhouette & Benchrest Club is pleased to announce it will hold a Benchrest 101 Clinic on May 28, 2016 at the club. This clinic provides an introduction to competitive Benchrest shooting. The focus will be on short range (100-200 yd) group shooting using center fire BR rifles AND for the first time rimfire BR! This clinic will appeal to the accuracy enthusiast who is serious about entering the world of competitive BR shooting. The Clinic will provide the first step of many steps in learning to shoot BR at a national and international level. The clinic is available to shooters who have not taken the clinic in previous years. You do not have to be a Rosebud member to attend. The Clinic takes the better part of a full day, so you will need to plan accordingly. 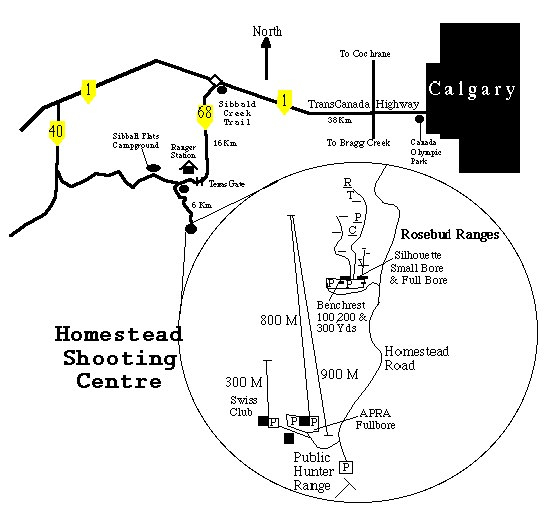 We will start at around 9:00 AM with part of the morning taken up in the clubhouse discussing the basics of Benchrest shooting, such as suitable cartridges, rifles, reloading, the match format, among many other topics. We will also use the morning to set up wind flags and bench rest equipment such as front rest and rear bags. There will be a 30 minute lunch break and then in the afternoon there will be informal shooting instruction on the rifle range. Students will compete using actual BR rifles and rests, wind flags, and all other associated equipment. This will also be a good time to see what BR reloading at the range is all about, and to see what BR bore cleaning is all about. For the informal shoot the rifles will be provided, along with all the other equipment necessary to shoot a match. A coach will be assigned to each student. There is no need to bring a rifle or sand bags etc., the coaches will provide that. All you need to do is bring your hearing protection, eye protection, lunch and refreshments. We expect to be done at about 4:00 PM. Depending on availability of spare rifles, coaches etc we will likely limit this to about 10 shooters. I would recommend people sign up early. To register please contact me at the phone number or e-mail below. Feel free to contact me if you have any questions. Registration is closed. We had a terrific response this year and unfortunately won't be able to accommodate everyone who has shown interest..
We ran BR101 yesterday. Great turnout of 17 shooters. Our first year with the RF shooters as well. Thanks to all the volunteers who gave up a Saturday; Dan O, Keith S, Paul R, Vic E, Tyler E, Bob R. These folks also provided the use of their rifles and equipment to make sure the students had the opportunity to shoot with competitive equipment and learn the basics of BR. Of course thanks to the Rosebud club as well for providing the use of the range for the day. Rick, keep up the good work of organizing this event. Thanks to Keith for stepping up to the plate for the RF discipline. Hopefully we will see a few of the folks join the BR ranks.